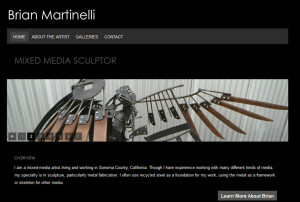 Brian Martinelli is a mixed-media artist who specializes in sculpture, particularly metal fabrication. 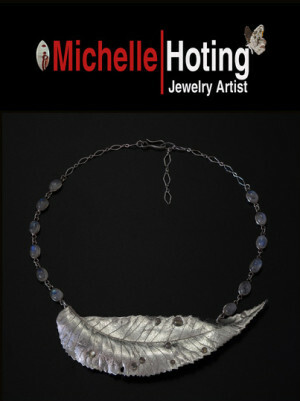 He often uses recycled steel as a foundation for his work, using the metal as a framework or skeleton for other media. 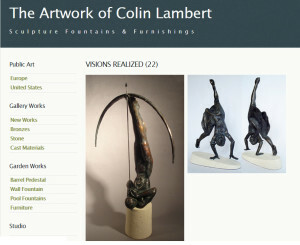 Colin Lambert (died 2015) was known for sculpture that is figurative, representational, classical and decorative. He created figurative bronzes, carved marble, stone sculptures, fountains, and garden works. 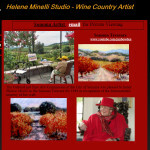 He had a studio in Valley Ford, Western Sonoma. He studied at the Chouinard Art Institute in Los Angeles and in Europe. A quote from the artist: “Being an artist becomes a vehicle for the spiritual journey, each piece a milestone, marker or souvenir. Ellie Portner is an artist of graphite drawings, oil painting, monoprints, paper collages, welded steel, and other mixed media. 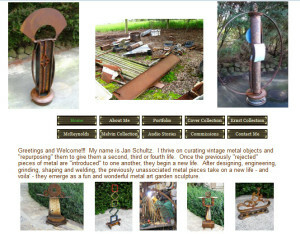 Jan Schultz, Sonoma County artist, is known for vintage and re-purposed welded metal sculptures, and yard art. 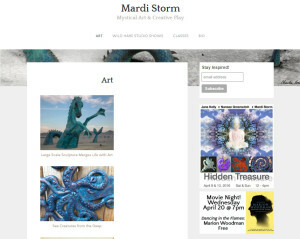 Mardi Storm is a west Sonoma artist who enjoys painting, nature photography, mixed media, and creating large scale sculpture that merges life with art. 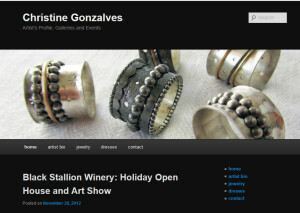 She also offers “soul painting” workshops for artists. 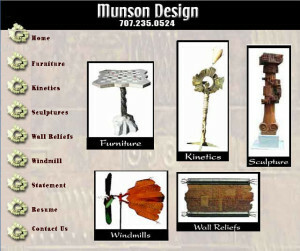 Martin Munson’s metal art contrasts natural and man-made forms. 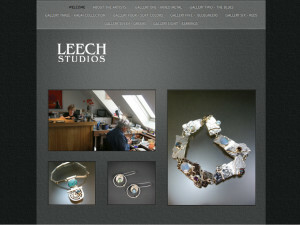 He uses a combination of forms and materials in his furniture and artworks, often working with the recycled or second hand. Martin has a M.F.A. in Sculpture from Southern Illinois University, and B.A. in Sculpture from Sonoma State University. He also attended the Academy of Art College in San Francisco. Patrick Amiot is a Sebastopol sculptor and metal artist who uses found objects to create whimsical sculpture “junk art”. Many are on display in the downtown streets of Sebastopol. In fact his work has become one of Sebastopol’s tourist attractions. 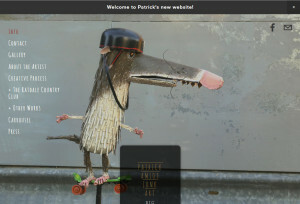 Before taking up junk art, Patrick was a ceramic artist. 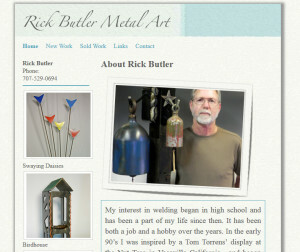 Rick Butler is a metal artist whose interest in welding led to his current interest in making metal totems, garden sculptures and garden panels. 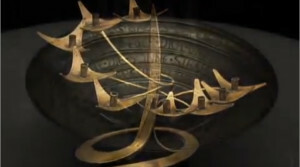 He often uses dissimilar metals, and organic materials in his artwork. 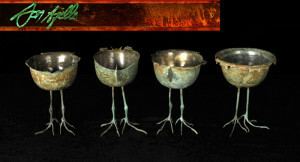 Susandra Spicer-Philpott is a Sonoma County artist of sculptures and abstract assemblages, using metal and mixed media.